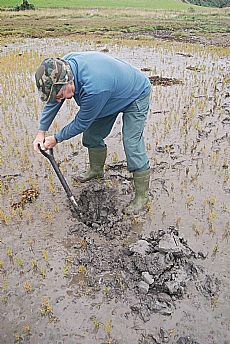 During recent excavations in advance of house construction at Bellfield Farm, North Kessock a number of Bronze Age and Iron Age round houses and pits were discovered. Some of the pits contained Bronze Age pottery and metalworking debris, including fragments of baked clay moulds. 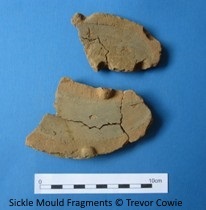 Trevor Cowie at the National Museums of Scotland analysed the moulds and discovered that they were used to create sickles and other tools in the late Bronze Age. This is quite exciting! 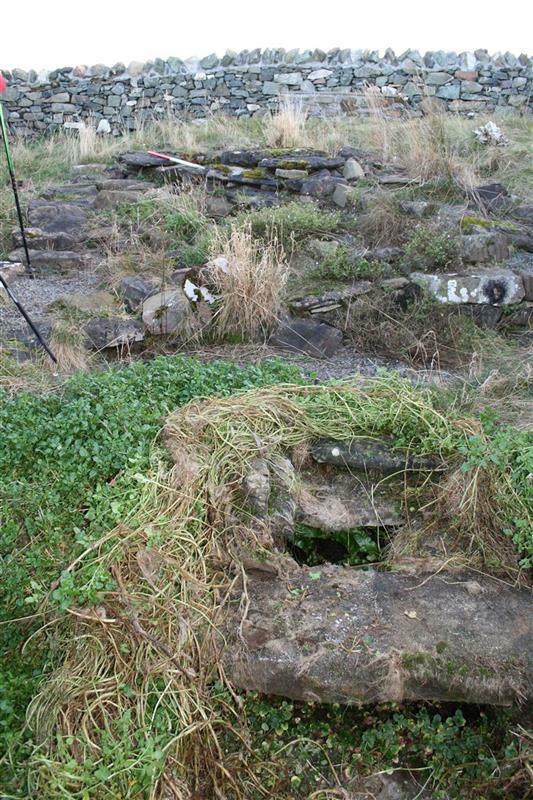 The site is only one of a handful known in Scotland where late Bronze Age metalworking took place. 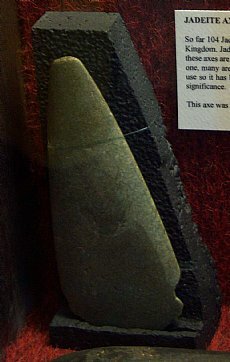 The type of sickle itself is rare, with only three surviving from Scotland, one from south of Inverness at Dores. 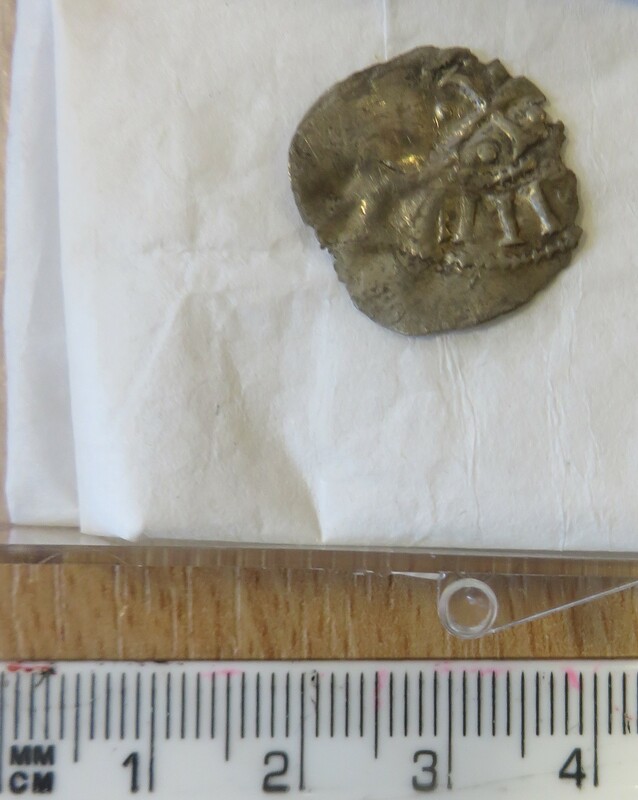 The ‘Feats of Clay’ project was a community heritage project designed to allow people to investigate and promote the context of these finds, involving as many people as possible. 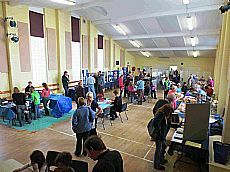 It was organised by the North Kessock and District Local History Society, with funding from the Heritage Lottery Fund, Highland Council Ward Discretionary Fund and StemNet’s Talking Science programme run by the University of the Highlands and Islands. 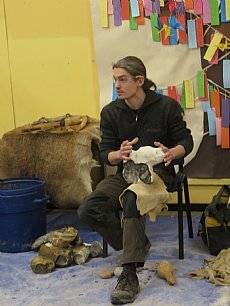 Courses and fieldwork were led by Archaeology for Communities in the Highlands (ARCH), with additional academic support from Trevor Cowie of the National Museums of Scotland. The first question investigated was what clay sources might have been used by the Bronze Age metalworkers for their moulds. The moulds themselves were analysed by Daniel Sahlén who has studied prehistoric moulds from a number of sites including Birnie in Moray. While this was happening, local people met to share knowledge about local clay outcrops and to examine old maps and archives for hints on clay deposits. Interestingly, memories threw up more possibilities than archive work. A number of these sources were then sampled. The clay was passed to potter and prehistoric pottery expert Orlean McIlfatrick who created small briquettes which were thin sampled for comparison with the moulds. 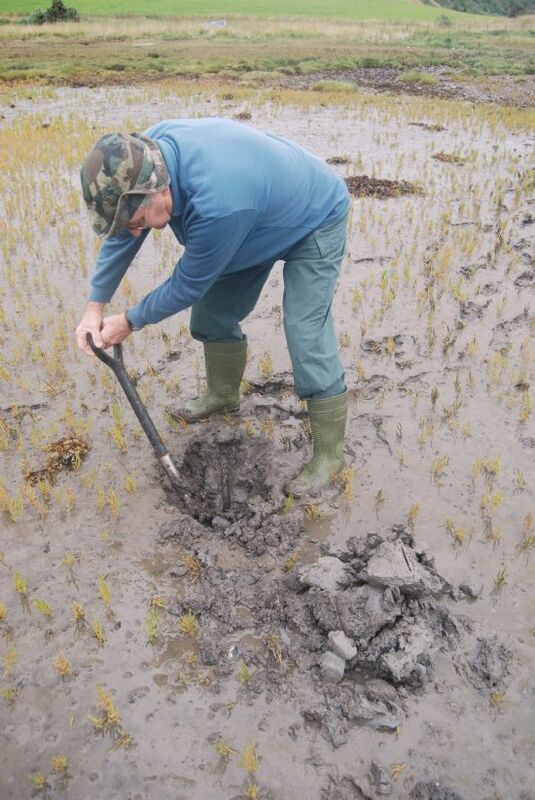 The preliminary analysis has shown that no one source can be positively identified, but that various local sources, including clay from Munlochy Bay, are very possible sources for the moulds. It is also interesting that the metalworkers were using different clay sources than the house builders who needed clay for their daub. The clay investigations were followed by a short course on the Bronze Age in the Moray Firth run by Susan Kruse of ARCH which provided a context for the metalworking. These activities led up to a Bronze Age crafting day in October 2013 in North Kessock. 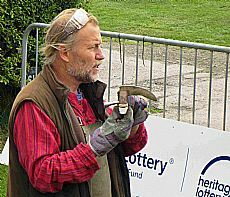 Neil Burridge from Cornwall produced replica sickles and other metalwork, providing a fascinating insight into practices of the time. 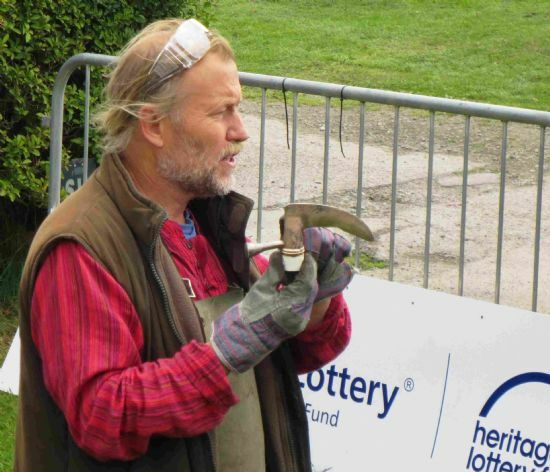 A range of other Bronze Age crafts were also showcased, in many cases with hands-on opportunities, including basket making, spoon and bowl-making, pottery, bread making and textiles. Both Neil and Orlean also did workshops in the local secondary school. The day was well attended and inspiring. 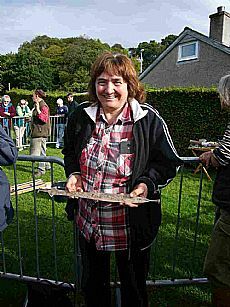 Later in the autumn Susan Kruse of ARCH ran a course so that participants could compile a complete listing of all known Bronze Age metalwork from the Moray Firth area, and to photograph as many as possible. The geographical boundaries were from Auldearn in the east to Glen Urquhart in the west, and from Aviemore to the Dornoch Firth. 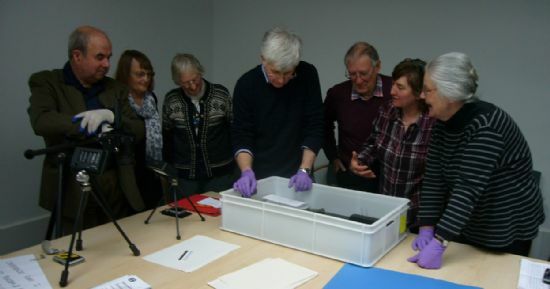 Over 150 items were identified, now spread in a number of museums from Scotland to Berlin, and as many objects as possible were photographed by participants. This included two trips to Inverness Museum and Art Gallery, and a fascinating trip to the National Museums of Scotland where Trevor Cowie arranged for material to be assembled from store and off display. The assembled corpus with photographs– in its two large binders - was then passed to Trevor who is in the process of writing a book to put the metalworking in its context. 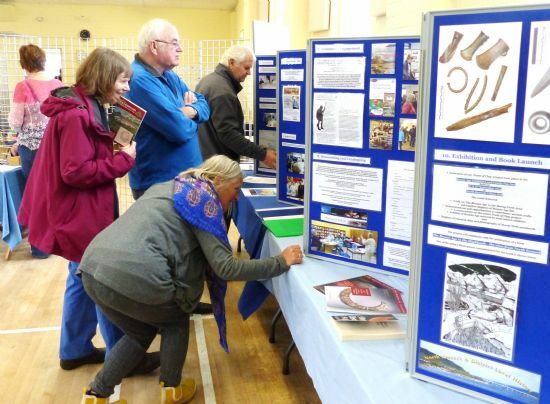 Finally the North Kessock and District Local History Society assembled an exhibition to tell the story of the Bronze Age metalworking in the area. Local schools were visited by Susan, and produced art work for the exhibition. Altogether the project with its many stands showed how a community can investigate local heritage, even when the remains themselves are ephemeral and the evidence is limited or destroyed. It was a good example of collaboration with academics and all ages, linking science and arts. And it was great fun!